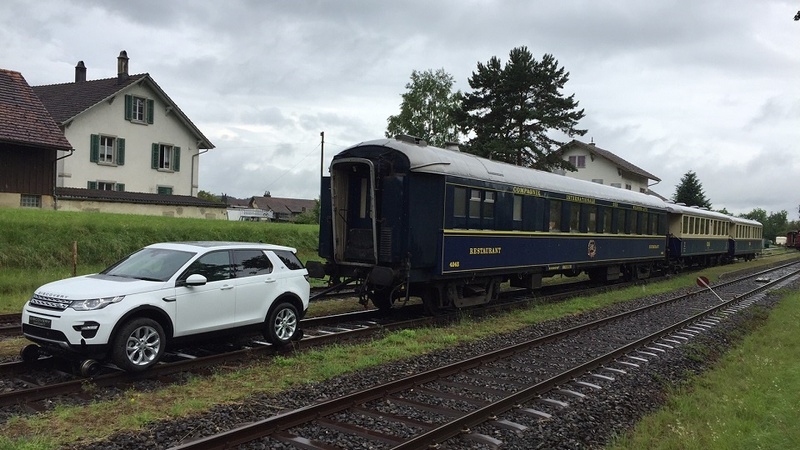 On June 16th 2016 a Land Rover Discovery Sports pulled a 100-tonne train in Switzerland. Watch the video of the Discovery Sports 100-tonne pull. Aquarius are delighted to have been involved in this project. Our team of engineers created a bespoke electro-hydraulic rail guidance system for the Discovery Sport, which was operated from within the cab. The Discovery’s state-of-art 9-speed automatic gearbox and Terrain Response technology to generate the necessary traction. Land Rover’s All Terrain Progress Control (ATPC) system was engaged at the press of a button helping to maximise traction at a set speed, acting like a ‘low-speed cruise control’.